Sigma Tau Gamma has begun restarting the Delta Psi chapter at RMU in August 2017. The chapter was first organized at Robert Morris University during the 1990-91 academic year and went inactive in 2006. 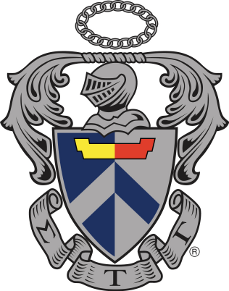 Sigma Tau Gamma is a national college fraternity founded in 1920 by educators and by veterans of the First World War. Founded as a society of men who endeavor to promote the highest ideals of manhood, brotherhood, and citizenship, its members dedicate themselves to a Path of Principles: value, learning, leadership, excellence, benefit, and integrity.